"Google Voice, which provides people with a single phone number that can be used to reach them on their work, home, or cell phones, has 1.419 million users, according to the letter. Of those, 570,000 use it seven days a week, Google says." The service is still limited to the US and it's available by invitation. Google Voice users can invite other users from the web interface. Google now offers an additional version of the service for those who want to use their existing phone numbers. This version is more limited and it only offers voicemail-related features and international calling. "Google Voice charges only for outbound calls to international locations; at present, fewer than 4% of all Google Voice users place outbound international calls," explains Google. Google emphasizes that Google Voice is not a phone service, it's a Web-based software application. "Google Voice works with mobile phones, desk phones, work phones, and VoIP lines. There's nothing to download, upload, or install, and you don't have to make or take calls using a computer." I love it too. The speech to text sw needs a little work, though it usually gives me a good laugh. Google voice is best at this moment. What is this Google voice exactly? It's a nice service if you have lots of phones and don't mind poor transcription. I use talk2.us and they are giving away invites to join free at http://www.talk2.us/trial. You can also read and listen to your voicemail on your computer desktop in addition to getting good quality transcription via email or text message. 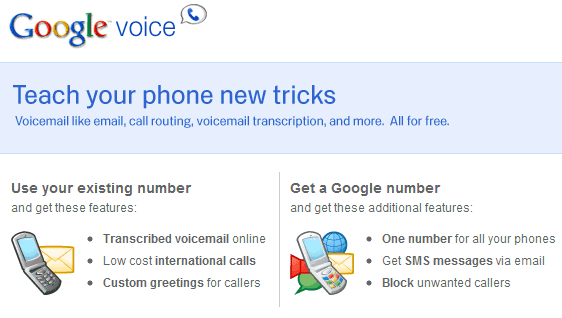 So can you redirect a google voice number to an international number? Being that you can make international calls for a fee, I assume that it's possible? Would be nice if Google voice is available outside the US.